My ICM Contest Entry is a standard Touhou-esque vertical scrolling shooter with two difficulty options. There are no gimmicks to note unless the 3D danmaku that I copy-pasted from my LOCAA 6 counts as a gimmick (albeit an ineffective one). This project was my attempt at regaining my former greatness, although in the end, it turned out to simply be one of my 'better' scripts. Although most of the script was unimaginative (in my opinion) since I was either trying to emulate Talos's style (which I executed reasonably poorly) or reusing ideas, the script managed to be pretty good. The Touhou Project is owned by Team Shanghai Alice (ZUN). 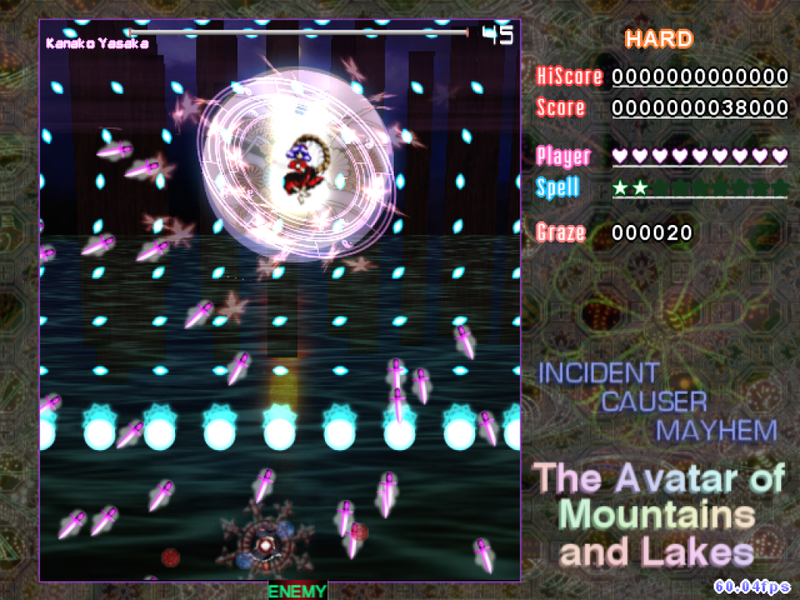 Various graphics in this game are not original and originate from official and Touhou Project games. I do not and will not allow unauthorized redistribution of this game and/or use of original code/assets without express permission.